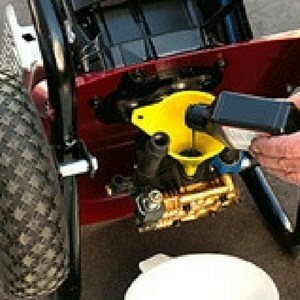 There are a wide range of advantages to regularly swapping out the old oil from your pressure washer. As with automotive oil, one of the largest benefits is in keeping the pump lubricated and functioning efficiently. With regular replenishment of fresh oil, a pump will enjoy a longer working life and perform better overall. The majority of pressure washers will accept a 30W non-detergent based oil product. Unless the product manual suggests that it is OK, you should avoid introducing any special additives or cleaning fluid to the oil compartment. Pressure washer pumps don't require a great deal of oil, though they should always use oils that have been recommended by the manufacturer. To keep your pressure washer running efficiently and ensure that components enjoy the longest life possible, you should change your pump oil every 3 to 5 months, on average. When it comes time to carry out this oil change, simply follow the below steps. In this step, you'll want to ensure that any pollutants have been fully cleared from the machine pump. Prepare the pressure as you usually would when getting ready for a cleaning session. Switch on your water supply and detach the washer's wand from your spray gun. Next, switch the engine on and depress the gun's trigger; keep it depressed for 2 to 3 minutes, producing a steady spray of water throughout. Once this time has elapsed, replace the wand on the gun. Next, you'll be changing the pressure washer's pump oil. Start by draining the existing oil from the machine, as well as the gasoline fuel for safety purposes. For the sake of the environment, you should look into proper disposal and not allow the oil to drain onto any natural surface. Finally, you'll be ready to introduce the new oil to your machine. Fill up the pump with fresh oil, taking note of the guidance provided by the manufacturer, or any oil fill lines. Be sure to tightly fasten the oil cap once more, wiping away any drops or spillages, and return the pressure washer to its upright position. If you’ve managed to spill any oil onto your paving, then you should use the pressure washer to clean this away as soon as possible, before it has time to set into the surface. The honest answer to this question is that there is no single figure shared across varied brands of pressure washer. Each manufacturer produces machines that have different capacity limits, and overfilling the oil compartment can lead to problems with operation; for example, if the engine filter becomes saturated with oil, then it often won’t start. To make sure that you don’t damage your machine, either through under filling it or using too much oil, be certain to check the product manual when you undertake your first oil change. In most cases, a single bottle of pump oil should be enough for at least one full oil change, if not more. A properly lubricated pressure washer pump will function more efficiently and enjoy a longer lifespan overall. Pumps often don’t come with a full warranty, so it’s worth looking after this component. 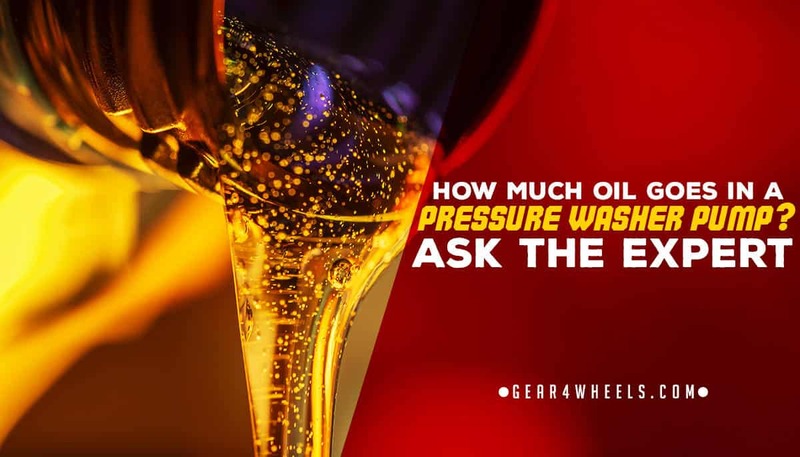 Though most pressure washers will accept a similar type of oil, there are many oils out there that will not work in every machine. ​Own-brand oils are often limited to machines produced by the same manufacturer, so be sure to check your owner’s manual to find out what type you should use, as well as your washer’s capacity limit. 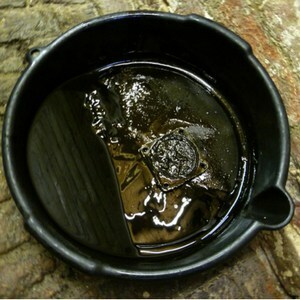 When disposing of old pump oil, you should always check that you’re following local environmental guidelines.